The Admin AppPool represents the TCAdmin portion of the website and Client AppPool represents the TKCentral (Web Printing) Service – for end users. 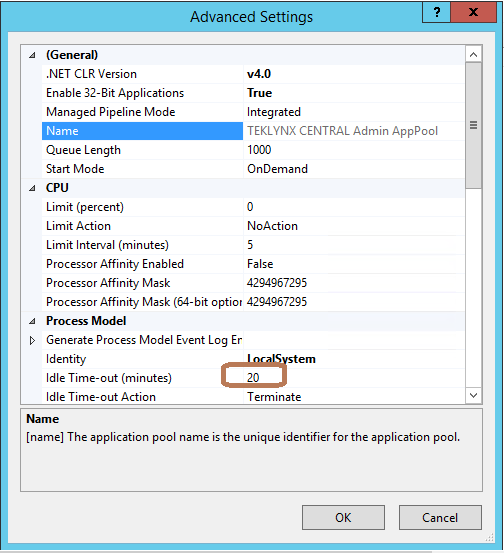 On the Advanced Settings window, change the Idle Time-out (minutes) to the desired value. The default value is 20 minutes. 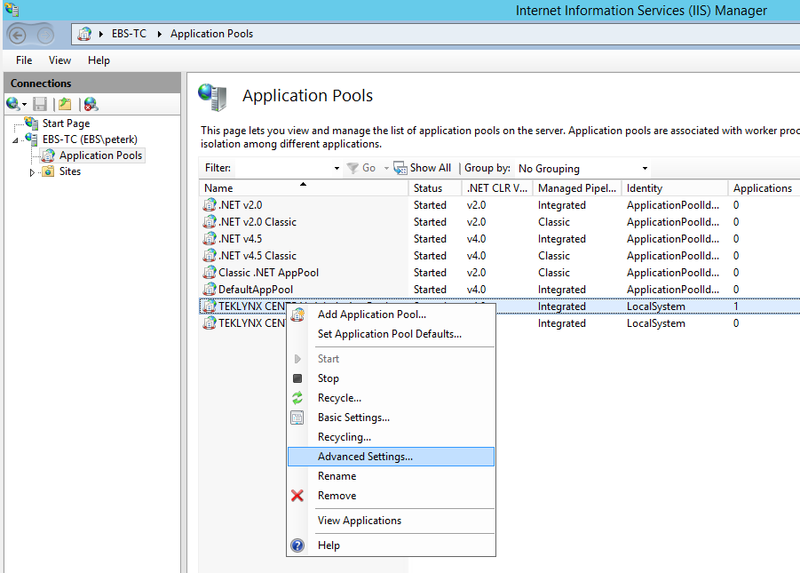 You may wish to restart the Application Pool by clicking on Recycle icon on the far right side of the window.